I have made a large error in my scheduling, as a result of the very infographics for which this blog is named. 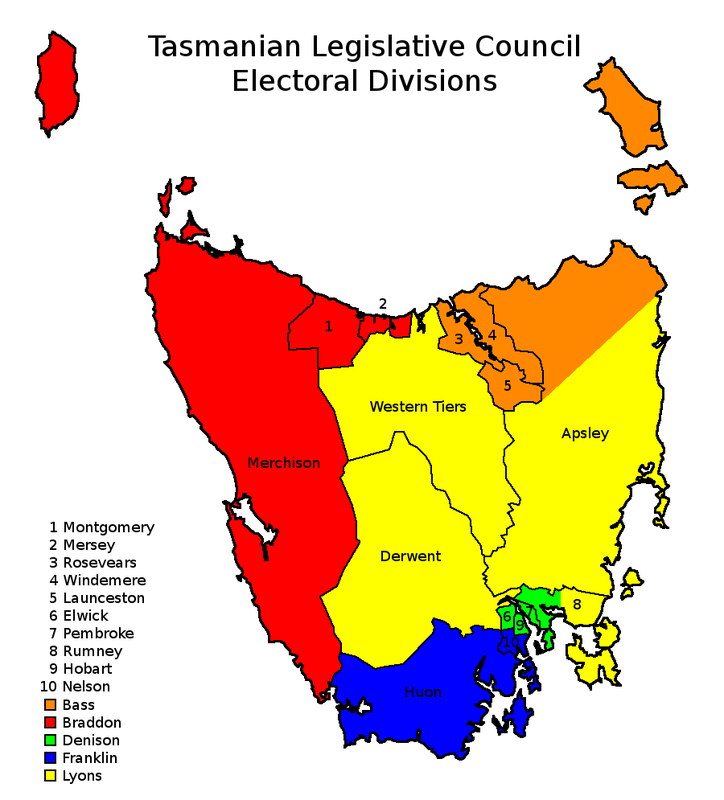 In this post I placed the Tasmanian state election in June, the latest possible date for it. I later confirmed from multiple reliable sources that that state's Legislative Council elections would be held in May. Unfortunately I failed to appreciate that the Tasmanian Legislative Assembly election might not fall on that day, because in my mind it was already posted for nearer the middle of the year. Several sources have since obliquely mentioned the Assembly election date, but I either ignored these because I did not trust the sources or thought they were relating to the 2010 election, since they mentioned the clash with the South Australian elections. Unfortunately, the Tasmanian floating election date has, yet again, been picked to coincide with the SA vote. This means that 1) we are again likely to lose Antony Green to the island state since the Hare-Clarke system is far more interesting to observe, and 2) I have had to summarise an entire election's worth of analysis in one day. This is looking to be a pretty clear-cut win for the Liberals by all measures, with primary vote polling at just shy of 40% compared to the ALP's 16%. 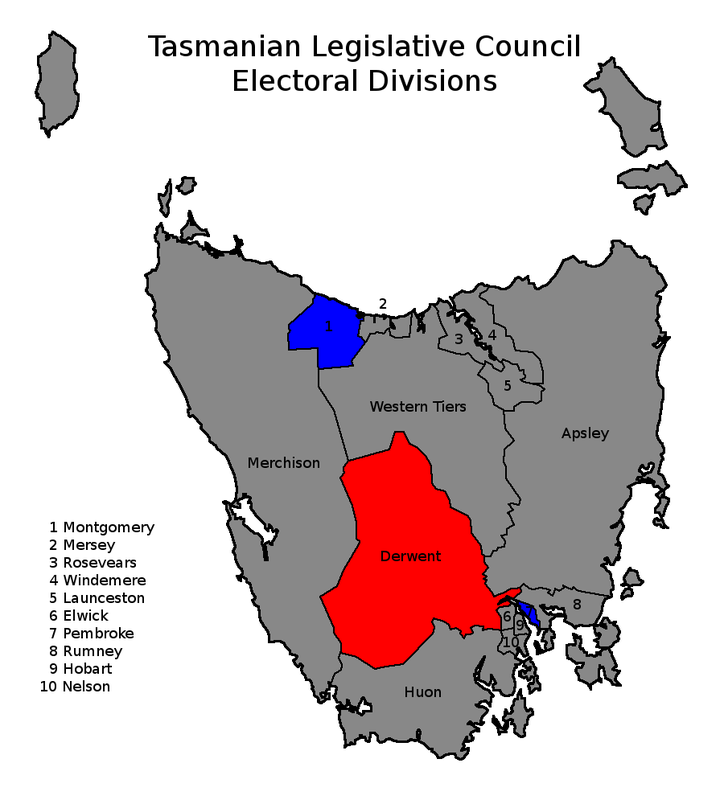 The Tasmanian Legislative Assembly is elected from five electoral districts using the Hare-Clarke system, which largely resembles most Legislative Council voting or the federal Senate vote. As a result, multiple MPs are elected from each electorate. 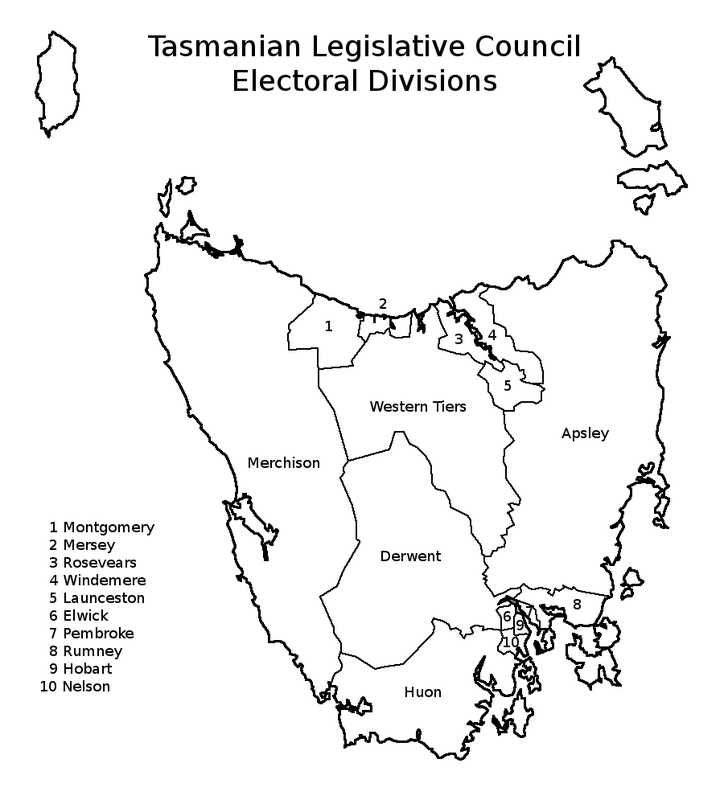 The Tasmanian state seats conveniently coincide with the 5 federal seats, and 5 candidates are elected from each for a total of 25 candidates. Because this system is so similar to the various upper-house systems used elsewhere (except Queensland, which doesn't have an upper house) it is not surprising to see the past results largely mirroring this: minor parties – specifically the Greens - regularly hold the balance of power. There is some talk, however, that this election could see a Liberal majority government. Unfortunately, since I am still developing systems to deal with the upper-house predictions elsewhere, I'm relying on untested methods for these predictions. The VDTA is of no use since transferable votes obscure any trends and the colour-coding for 5 different simultaneous incumbents is a nightmare. There is no pendulum, since the multiple incumbents again ruins the idea of a two-party swing. And, because Tasmanians have a much higher interest in elections – indicated, for example, in their significantly more common below-the-line votes and engagement with more complex voting systems – you cannot rely on preferences to flow predictably through party guidance. In the Hare-Clarke system there is no above-the-line vote either. On top of that Robson Rotation randomises the order of candidates in a column, so donkey voting and linear preference flows are drastically underpowered, making it very much a candidate-eat-candidate style contest. If the polling is uniform and approximate the quota as a percentage of the votes, we can expect two Liberal candidates, a Labor candidate and a Green. The final seat will come down to the opinions of the 23% listed as undecided, as well as the Palmer United and other groups' flow-on effects. The Independent federal Incumbent in Denison requires the black square – a tossup. With 25 candidates to predict we are allowed 1 tossup. This just gives the Liberals the 13 required to rule in their own right. However, swings are rarely uniform. There has been a shift to the right in Tasmania, demonstrated not only in the state polls but also in the Federal election, with Bass, Braddon and Lyons all being taken from the ALP by the Coalition. We can firstly see that each seat has traditionally been left-dominated, which is part of the reason the conservative result in Tasmania confused me so much last year. Then again, given that the Labor government in Tasmania has held power since 1998 under Jim Bacon, this is not so surprising. The Liberals have been historically strongest in Bass and Braddon, so three blue seats there are certainly not out of the question. Denison has a large independent contingent, possibly inspired by the victory of Andrew Wilkie in the federal seat. This, as always, throws a spanner in the works. While it is tempting to copy the polling and use our tossup here, my gut feeling is that the seats will end up with a party, and probably a member of the Labor-Liberal-Green triopoly. The risk of a Glenn-Druery style preference swap is, fortunately, something we do not need to consider due to the lack of above-the-line voting. Another tool we could use, in theory, is to look at the smaller LegCo seats that make up the Assembly/federal seats for hints about demographics. For simplicity, where Assembly electorates cut through LegCo seats a straight line has been used to divide the colours. in reality the boundaries are more complex. Unfortunately, the Tasmanians have foiled that by actually getting to know their candidates and regularly voting in Independents. “Enough to undermine any kind of cross-house correlation?” you may ask. “Golly Gosh!” you may exclaim. So, getting back to the map, at best there is circumstantial evidence for Labor support in Lyons and Liberal support in Braddon and Denison. However, the seat history is the best indicator we have so far. Given the Low support for the ALP in Bass, I suspect the prediction here will play our as per the polling, 3 Lib, 1 ALP and 1 Green. Lyons and Franklin on the other hand have been pretty reliable for the ALP, so I'd expect to see them retain the status quo. In Denison, I expect a Liberal gain to take up the black square. The seat has been the Greens' strongest performer, so this will probably come from the ALP instead. Braddon, however, has only elected one Green. It is also important to note that the Greens vote has collapsed in the primary polling to roughly the same extent as the ALP (from 22% down to 14% compared with 23% down to 16%), and if the Greens lack support anywhere, it'll be Braddon. For this reason I'm giving the Libs three seats, the ALP one and using our precious tossup on the last. The Greens may hold on, but if they lose any seat (and the polling suggests they will) it should be here. These predictions feel very unreliable to me, even compared to my normal standards. However, I can't really justify pulling out of a prediction because it is too hard, and hopefully our new scoring system of measuring results against a polling baseline will save us from too bad a result. Another map to colour in! The title of this post is in part an apology to Dr Bonham for completely overlooking his state, and in part an apology for not having read his recent posts (which should have alerted me to this issue) due to my preoccupation with my home state. That said, I have hopped over there now, and all of my predictions fall in the top two of each of his possible scenarios for each seat (http://kevinbonham.blogspot.com.au/2014/03/newspoll-its-all-over.html), except Lyons, which he has as a confident 3-Lib scenario. He's probably right but I cannot justify it on my limited data tonight. Interestingly, my most uncertain seat (Braddon) is given as "No clear favourite [scenario]. Four significant prospects - in declining order of probability, 3-2-0, 3-1-0-1, 3-1-1, 4-1-0. Anything else very unlikely." Those values are Lib-ALP-Green(-Palmer), and basically equate to the 4 possibilities given by my use of the tossup. So, it turns out, this is probably the seat to watch - even from S.A.
Care to make a prediction as to who takes power now? Obviously I came too late to the party to make a prediction, however many wiser men and women than I (e.g. Mr Green) were slightly backing the ALP. "Currently the results are looking like Labor 23, Lib 22, IND 2. If that holds up (and note that there are postal/pre-polls to count which are normally conservative biased, especially since Marshall was doing better when they would have voted) we obviously have a hung parliament. Both INDs are conservative candidates in conservative seats, but the Libs ran pretty hard against Bob Such in [Fisher], and he says that it'll be hard to back them. If either breaks for the ALP then labor gets a 4th term. Difficult to guess what they'll do, but both SA and Federal examples of conservative independents backing Labor minorities are easy to find in recent history (probably because the ALP knows these guys will happily turn on them if they are crossed). "[I]n his speach yesterday after the vote Marshall said he had hopes for possible victories in Ashford, Elder and Mitchel. The latter is already in the Lib camp, so he'll need to win all three (which I interpret as the upper-bound on his optimism) to form government without IND backing." After Mr Such was taken to hospital, however, it was pretty widely expected that Geoff Brock would back Labor rather than leave the state hanging until Mr Such's recovery. I agreed with that sentiment, and it turned out to be correct.